Gusto is a dream come true for small business owners looking to handle payroll without headaches. At Accountingprose, we’re inordinately experienced with the major payroll services: ADP, Paychex, Intuit Online Payroll, and Gusto. After using them all, we are so gung-ho for Gusto that we have formalized a symbiotic partnership with them as our primary payroll software provider. With their cloud-based payroll software platform, our customers can not only setup and process payroll for their entire workforce (1099 or W2) online, they can also complete nearly every other payroll task with astonishing ease. Gusto stores digital forms, pay stubs, and other relevant information about your employees, contractors, and business. 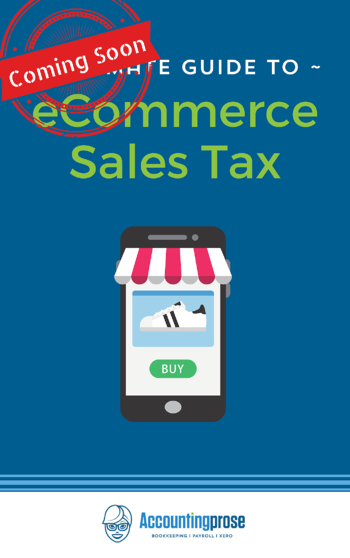 It can even automatically file and pay your payroll taxes! This is just a teensy taste of the powerful magic Gusto provides. Gusto’s most compelling features are all super easy to use and cleanly designed with the small business user in mind. Check out their features page for a comprehensive list! Gusto is very competitive when it comes to pricing, and their pricing structure is transparent, which we always appreciate in a service provider. Given that we find their service to be industry-leading in terms of quality and ease-of-use, it’s surprising just how competitive pricing remains for Gusto. There are three pricing tiers with distinct feature sets available: Core, Complete, and Concierge. Each has a base monthly fee plus a per person charge. The Core offering is $6/person/mo on top of $39/mo base. Complete and Concierge service levels are $12/person/mo with $39/mo and $149/mo base charges. In addition to the three tiers, employers can opt to add health benefits, workers’ comp insurance, 401(k) plans, and even college savings plans. If our client wants us to handle payroll on their behalf, we can also do this using Gusto. Our rates start slightly higher at $95/mo base + $10/per person, per month, but payroll is completely hands off for you. We manage the employee on-boarding, enter hours, work with your employees when the have questions, and even send payments to retirement plans if you have one in place. When you have us handle the payroll for you, you can rest easy at night knowing that our one-stop-shop is handing everything for you. Though we suggest Gusto as our exclusive payroll provider for all our clients, we know there are other options out there. They all vary in pricing, features, options, and usability. The primary differences will come down to price (Gusto wins), usability (Gusto wins), and features (ADP/Paychex/Intuit each have a feature Gusto lacks). We have gathered the other popular payroll providers to compare them with so you can make an informed decision. Gusto is the David to ADP’s Goliath, and it is easy to see why. As a disruptor to the space, Gusto wins handily at ease of setup and use, clear pricing, and all-important customer support. Pricing can be difficult to assess given ADP’s custom quote system, but most small businesses will end up paying twice as much for ADP as they would with Gusto. As one would expect, there’s plenty of overlap far as features are concerned. They both offer online payroll, reports, and direct deposit. Filing 1099s and W2s are possible through both, though only included with Gusto; ADP charges extra. They also both offer extended HR solutions, and here is where ADP shines. ADP offers more additional options like job posting and other more enterprise-centric features while Gusto maintains laser-like focus on small business needs. Gusto offers online employee profiles and fun facts, surveys, and sick/vacation time tracking, which ADP is missing. Another advantage ADP offers is the option to create and send checks on your behalf. Gusto will let you “write checks” in the software, but it’s up to the business owner or manager to actually print the checks and deliver them to employees. Finally, Gusto is dramatically more aesthetically pleasing and user friendly. So much so almost every person who uses both will say so. If usability and aesthetics matter at all, Gusto is the clear victor and easy choice. Paychex was the disruptor to ADP before Gusto came on the scene. Now a behemoth in its own right, Paychex has become an established player offering a fairly parallel level of service to that of ADP. Paychex uses similarly opaque pricing as ADP, in which they come up with a custom quote depending on the business. This makes a direct comparison difficult, but not impossible. Once again, research shows that Gusto comes in at half the price of its competitor for the base service. Paychex, like ADP, also charges extra for filing your 1099s and W2s at the end of the year while Gusto includes this service at no extra cost. Additionally, both ADP and Paychex charge per pay period as opposed to Gusto’s flat monthly charge which means you’ll pay more if you pay people more than once per month. Paychex and Gusto have the same general payroll functions including running payroll online, paying via direct deposit, paying taxes automatically, and letting employees set up accounts to edit their information and view their pay stubs. As with ADP, the primary reason to go with Paychex would be the use of a PEO or some specific platform need, like issuing checks, that Paychex offers and Gusto doesn’t. Gusto and Intuit Payroll may do similar things, but they do them in dramatically different ways. While they are both online payroll solutions, they serve different purposes. Intuit’s offering is an extension of Quickbooks and as such isn’t primarily designed for use with another resource. Gusto, on the other hand, is its own extensible payroll platform designed from the ground up to be cross-compatible, permitting it to sync easily with any accounting software. Basically, if you’re a Xero user, or you use anything other than Quickbooks, Intuit Payroll is probably not for you. Where price is concerned, they’re more similar than the comparisons above. Intuit has a higher base price, but a lower price per employee. Depending on the number of employees, total monthly/yearly price could be similar to or even cheaper than Gusto. However, Intuit charges $16 per year-end 1099 file, whereas Gusto doesn’t charge you anything extra when tax time comes around. It is important to note that while Intuit Online Payroll has a seemingly lower price, it comes at a cost. Intuit Online Payroll is not full service, meaning the business owner or their accountant is responsible for filing forms and cutting checks every months. If something goes awry, you have to be the one to deal with the IRS. Gusto manages the relationship with the IRS and the state, so you don't need to sit on hold for hour at a time. That, my friends, is priceless. As mentioned above, Gusto will sync with a plethora of different accounting programs while Intuit Online Payroll was built to work exclusively with Quickbooks. In addition to providing outbound data to accounting applications, Gusto is also capable of pulling in timesheets from other programs like TSheets (which Intuit just purchased) and WhenIWork. Intuit has time tracking capabilities available for a surcharge, while Gusto currently relies on third party software for time tracking. Finally, as mentioned above, Gusto automatically files your federal and state taxes when they’re due, taking the money out of your bank to cover the expense. Intuit, on the other hand, will fill out the returns for you but it’s up to you to file and pay them. Overall, we’re simply gonzo for Gusto! Gusto is one of the most user-friendly programs we’ve ever seen, with rock solid performance and world class support. We chose it over its older and costlier competition and have never regretted it. Keeping abreast of upcoming payroll tasks and deadlines is simple with the uncluttered dashboard. This makes it easy for us to remain in up-to-date and in compliance for all our clients. The user interface is impeccable, placing all information within a few obvious clicks. This means that it’s super easy to train new users on, whether it be new hires or clients who want to have more of a hands on approach with their payroll. We’re delighted by the comprehensive features and options available within the program. Every payroll question that comes to us from a client is quick and easy to answer. They’ll ask us if it’s an option to add benefits, customize their reports, file their taxes, etc. and the answer is always a resounding “yes!” Using Gusto has cut our payroll processing time in half, enabling us to pass those savings on to our clients. 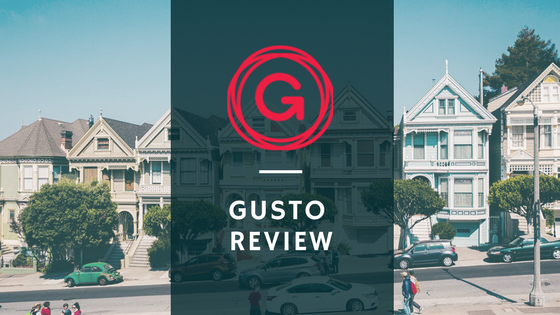 No review of Gusto would be complete without giving a massive shout out to the Gusto support team. They’re easy to get ahold of, respond rapidly, and never leave us hanging. Support is obviously a priority at Gusto; they’re clearly empowered to help out and overcome any snag we come across with aplomb. They also offer Chat Support which isn’t common among Payroll providers and which we find more useful than waiting on the phone. Gusto is so great it is genuinely hard to find a nit to pick. The only obvious one is that it has no granular time tracking. It accepts total pay period hours, as well as any sick or vacation hours. Additionally, it can sync in hours from other time tracker services like WhenIWork and TSheets or even a .csv file. For some businesses, especially those where employee’s time is billed out on a granular level to customers, the lack of this feature being integrated could be a deal breaker. What is GetApp: GetApp is the premier online resource for businesses exploring software as a service (SaaS) products. According to Get App, they take the confusing world of SMB business applications and make sense of it all. What is G2 Crowd: According to G2 Crowd, G2 Crowd's real-time and unbiased user reviews help you objectively assess what is best for your business. Until recently, selecting business solutions was hard, risky and inherently biased. G2 Crowd empowers business buying decisions by highlighting the voice of the customer. What is Glassdoor? Glassdoor is a website where employees and former employees anonymously review companies and their management. While Glassdoor doesn't review the software, it provides a peak into the inner workings of the company itself. We not only want to be sure that the product is top notch, but the people behind the product are happy to be a part of the team and feel respected and motivated by the higher ups.